I’m in Sarajevo this week end for a field visit to the Council of Scouts Associations of Bosnia and Herzegovina. 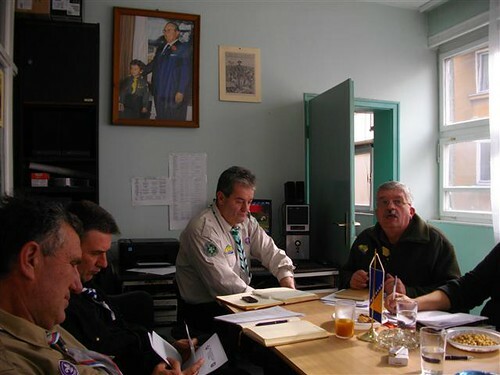 Yestarday Jordan and I had a very sucessful meeting with the leadership of the Scout Association of Federation of Bosnia and Herzegovina, the Scout Association of Republika Srpska and the Scout Association of District of Brcko. As with any visit to an NSO, this is a great way to learn directly, what has been happening over recent months. Over the course of the weekend we will be able to get a more accurate picture of the actual scouting situation in the country and learn more about the membership situation and about the needs and strengths of the Associations. We are also discussing the process of founding a Scout Organization of Bosnia Herzegovina, collecting under one roof the three associations.